Covers Scout to 1st Class under the new 2016 program. 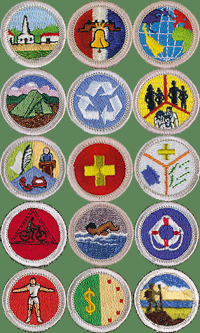 Covers all the requirements for all 17 Eagle Required Merit Badges. Contains all current revisions. As BSA revises their merit badges (always effective January 1), this spreadsheet will not only update to reflect the new requirements, but it will also keep a copy of the old requirements for one calendar year to allow scouts to finish up their partials, as per BSA policy. There were no major changes in 2016 (just some verbage), so this Trax is OK to use with the 2015 edition of Eagle Trax. The major version indicates the year of the update. required and elective merit badges.